As part of Hi Europe & Ni 2018, trade show organizer UBM will showcase some of the most promising startups involved in the F&B industry. As part of Hi Europe & Ni 2018, trade show organizer UBM will showcase some of the most promising startups involved in the F&B industry. Applications for the Startup Innovation Challenge are now being accepted and the most promising concepts will be presented live to a professional audience on the first day of the event. The three winners will receive extensive coaching from recognized industry experts. Startups often exemplify creative pioneers and outstanding innovations, but young companies sometimes lack the budget and support to make an impact on the market. This is why UBM launched the Startup Innovation Challenge in 2016. It gives founders or small new enterprises the opportunity to reach a broad specialist audience and receive valuable advice. The nominees will present their idea or innovation to a jury of experts on 26 November and at Hi Europe & Ni’s Industry Insights Theatre in Frankfurt (Germany). 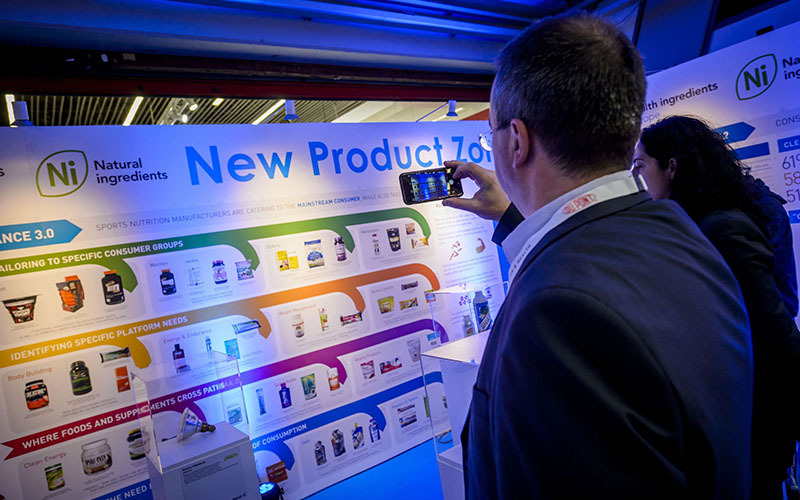 With more than 10,000 visitors and more than 500 exhibitors, the show is the central trade event for healthy functional ingredients for the food and beverage industry. All shortlisted startups will have access to a Startup Lounge, situated in the heart of the exhibition, for the duration of Hi Europe & Ni 2018. This provides a perfect opportunity to meet, network and demonstrate their products to this highly relevant and influential group. Most Innovative Technology or Service Supporting F&B. The three winners will get individual advice from one of the jury members. In addition, the successful nominees can choose from various special prizes — from a fully equipped stand at Hi Europe 2018 or Fi Europe 2019 to a marketing campaign within the Ingredients Network or access to the “Conciergerie” innovation platform from Presans to intensive consultation at Wageningen University & Research. To apply, companies should be less than 5 years old and have a solid business plan. The submission must focus on an exceptional new product or service that promotes health and, ideally, already exists as a prototype or service model. Interested young companies can apply directly at https://startups.figlobal.com or contact sophie.clark@ubm.com for more information.